Nike reworks popular Air Max silhouettes with a new colorway that melds together volt, bright crimson and black. First, we see the Air Max 720 with green gradient tones that are inspired by the natural world, a contrast to the shoe’s futuristic aesthetic. Moulded lines on the upper sections of the shoe create a wave-like design, as the heel clip increases the air unit for a more significant visual impact. Following the same theme, Nike has also refreshed the Air VaporMax 2019, Air VaporMax Flyknit 3, Air Max 270 SE and Air Max 95, where some star a different hue, such as the VaporMaxes predominately white upper. 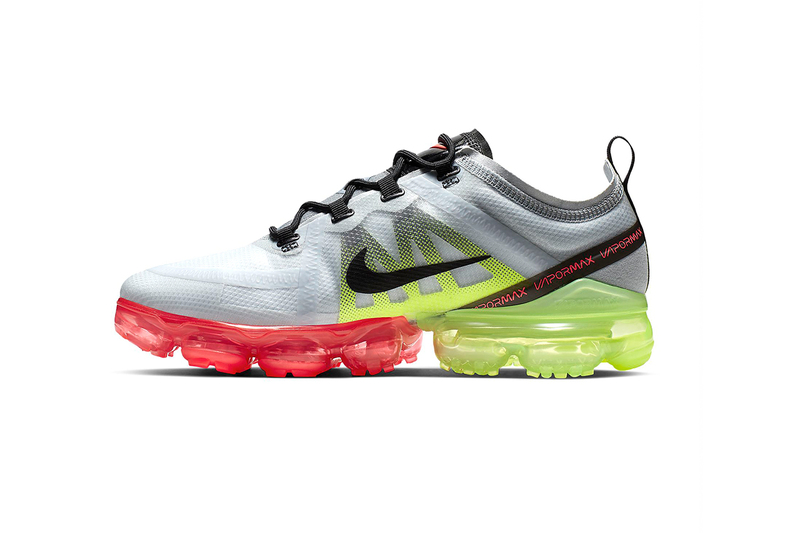 The Nike Air Max “Volt/Bright Crimson” pack is now available on Nike.com with prices ranging $160-$190 USD. In other news, all-black adidas YEEZY BOOST 350 V2s are reportedly landing soon. The 65-foot bronze statue rises from the resort’s outdoor pool complex. Surreal motifs made using acrylic and spray paint.